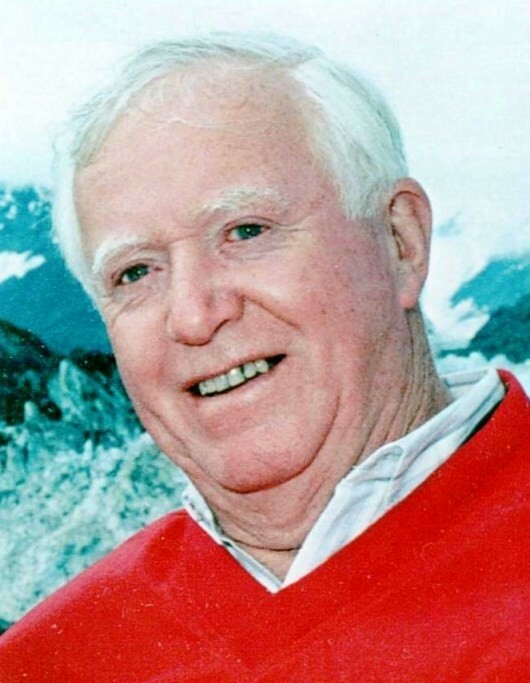 Eugene F. Shugrue, 87, of Southington, passed away peacefully surrounded by his family on Wednesday, January 23, 2019 at St. Mary’s Hospital in Waterbury. He had been the loving husband of Vivian (Bellemare) Shugrue for 67 wonderful years. Born in Waterbury, CT on June 15, 1931 to the late Eugene and Helen (Moore) Shugrue, he had been a longtime Southington resident. Gene proudly served his country in the United States Air Force for 4 years during the Korean War Conflict. After 35 years of service, he retired from CL & P as a chief electrician. He enjoyed many years of traveling with his wife but most of all loved spending time with his family. He cherished the time he spent with them on family vacations at Lake Placid and Copake Falls. Gene is now on his greatest journey. In addition to his wife Vivian, Gene is survived by seven children, Kathleen Ranaudo (Jerry), Eugene F. Shugrue Jr. (Christine), Thomas Shugrue (Joann), John Shugrue (Colleen), Susan Bizarro (Joseph), David Shugrue (Maria) and Brian Shugrue (Christine), 16 grandchildren, Carla Marashio (Joseph), Erica Tirado (Anthony), Elizabeth Shugrue, Gregory Shugrue (Amy), Michael Shugrue (Laurie), Erin Szfran (Adam), Michelle Shugrue, John Shugure Jr. (Christina), Kaitlin Cannon (Kyle), Sarah Heller (Zachary), Andrea Hedstrom (Garrett), Lauren Bizarro (Ben), Elaina Vicari, Virginia Shugrue, Margaret Shugrue and Juliet Shugrue, 18 great-grandchildren, Adeline, Vincent, Frankie, Alexa, Nate, Ryan, Mason, Parker, Addison, Wyatt, Sylvie, Riley, Kacie, Vivian, Joseph, Eleanor and Henry and many nieces and nephews. He was predeceased by his sister Mary Coakley. In lieu of flowers, donations in Gene’s memory may be made to St. Vincent DePaul Mission of Waterbury, 34 Willow St., P.O. Box 1612, Waterbury, CT 06710. A Mass of Christian Burial will be held at 10:00 a.m. on Monday, January 28, 2019 at St. Francis Xavier Church, 625 Baldwin St., Waterbury. Burial will follow in Calvary Cemetery, Waterbury. Calling hours will held on Sunday, January 27, 2019 from 2 – 5 p.m. at the Plantsville Funeral Home, 975 S. Main St., Plantsville. For online condolences and directions, please visit www.plantsvillefuneralhome.com.